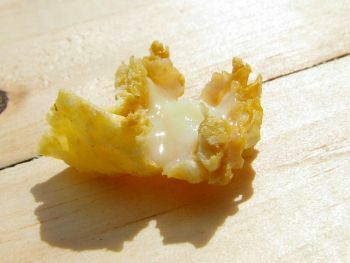 Royal Jelly is very popular in Asia, especially China. Used since the beginning of times in the Chinese medicine, this country also has a lot of studies and literature on it. Unfortunately, all these studies are not accessible to non-Chinese. In the western countries, we have only a few clinical studies, and most of them come from Russian scientists and are rather old. Eg: Shkenderov and Ivanov (in 1983), Ludyanski (1994), Krylov and Sokolski (2000), Asafova (2001) Krylov (2007) Many of the clinical applications described by them are monographs, the authors cannot cite the original citations as they don’t have access to them. All these studies are old and don’t follow our present rules and criteria for a valid clinical study. For example double blind studies or trials made with necessary controls. Yet, they are made on a considerable number of patients and in some of the studies, control treatments have been carried out. Effects of royal jelly on humans, as showed in old medical studies. Skin protection, antidiabetic, gastroprotection, osteoprotection and others. Considering all the data coming from old studies, our scientists have started to test the benefits of royal jelly more seriously. It is true, that the majority is again from China. It is somehow understandable, considering their rich background of using bee products in Chinese medicine. Today the research have included the effect of royal jelly on new conditions, like the ones induced by chemotherapy and radiotherapy. On July 2014, The International Journal of Otolaryngology published a randomized, single-blind (physician-blind), clinical trial made in Kyorin University Hospital, Japan, between 2009 and 2010. The study demonstrated that prophylactic use of RJ was effective in reducing mucositis, induced by chemoradiotherapy in head and neck cancer patients. Read all about it: The Effect of Topical Application of Royal Jelly on Chemoradiotherapy-Induced Mucositis in Head and Neck Cancer A Preliminary Study. What makes royal jelly so good for health? Here are the bio-active ingredients and health promoting properties, last reviewed in 2012. Royal Jelly contains mostly free organic acids with a rather unusual structure rarely encountered in nature, mono and dihydroxy acids and dicarboxylic acids with 8 and 10 carbon atoms, the man acid being 10-hydroxydecenoic acid (HDA). Lots of royal jelly’s effect have been reported, mostly for HDA: antibacterial, immuno activating, immuno modulating, anti-cancer, anti-diabetes, collagen promoting and skin protecting, anti-ulcer, facilitates differentiation of brain cells, estrogenic, antidepressant, anti-rheumatic. The activation of TRPA1 and TRPV1 induces thermogenesis and energy expenditure enhancement. 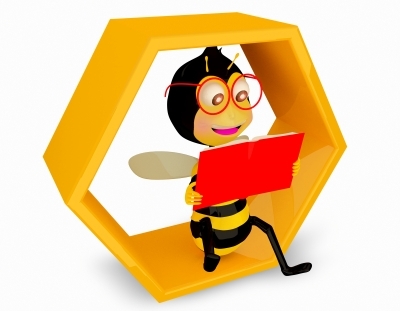 Up to 90% of proteins found in royal jelly are of the RRJP type (major royal jelly protein). This protein type belongs to the albumin protein class and has immuno-modulating effects. 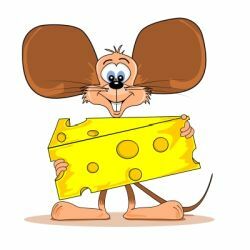 Other proteins, like glycoproteins, and peptides have been identified: apisimin, one with antihypertensive activity and “jeleines” with antibacterial properties. Royalactin is the protein with the property of keeping stem cells in their initial pluripotent form. This confirms its regenerative properties. AMP-N1 Oxide stands for Adenosine monophosphate N1 oxide and is a unique compound, found only in royal jelly. It is connected with the effects on centrally nervous system. It stimulates differentiations, promotes generation of all 3 types of cells: neurons, astrocytes and oligodendrocytes, against neuronal damage. Adenosine is a biomolecule with many physiological effects. It produces inhibition in vascular smooth muscle cells of coronary arteries and neurons in the brain, by it hyperpolarising effect on the membrane potential of excitable cells. 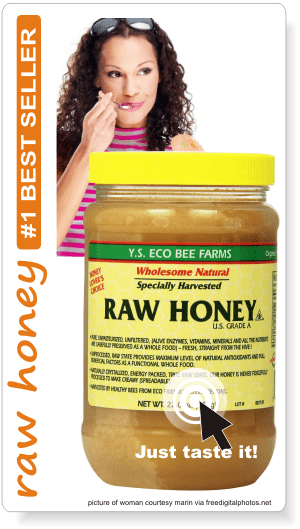 Royal jelly contains 5.9 to 2057.4 mg/kg adenosine. Acetylcholin is a nerve transmitter, with a number of hormone-like effects in the central and vegetative nervous system. 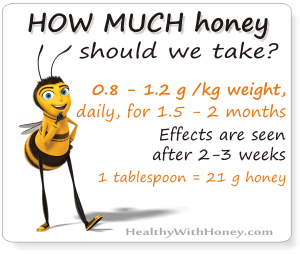 There is 1 mg of it at every gram of dry weight of royal jelly. 6. Hormones: testosterone, progesterone, prolactine, estradiol. 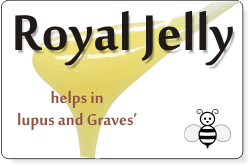 The polyphenols present in royal jelly have been associated with its antioxidant effects. As a conclusion, scientists have concluded that the unique anti-fatigue and brain activity properties of royal jelly are given by HDA, AMP-N1 oxide and hormones. 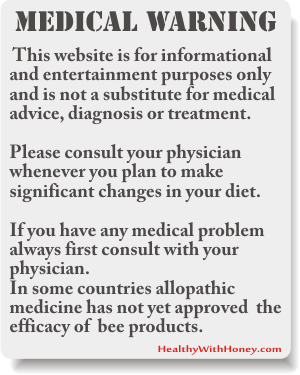 It is recommended to take royal jelly orally and not as injection. The best way is to take it sublingually, because this method achieves a direct transmission on royal jelly into blood, thus avoiding the decomposition of proteins in the digestion tract. 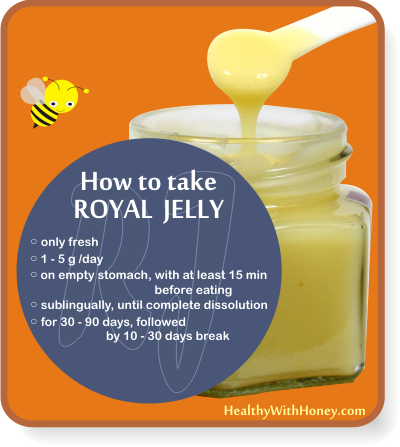 and read more on how to take royal jelly in specific conditions. • What is the best bodybuilding supplement? What is the best bodybuilding supplement? 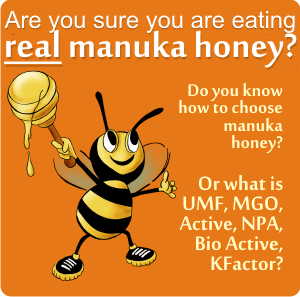 Seabuckthorn and honey or how to boost immune system naturally! Your blog is gold! Thank You! 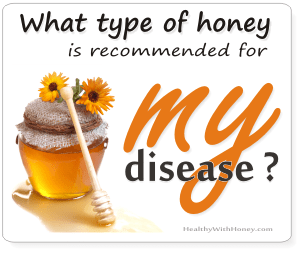 Question re Royal Jelly. Whats the best recommended usage/dosage? Can it be taken directly or mixed/diluted? (For adults and kids) is there a limit to how many days its taken? Any cautions one should consider? Thanks for your appreciation. Here is what I’ve found about taking it. • As a rule, the most efficient RJ is in its fresh, raw form. It can be mixed with honey, yogurt or a syrup and swallowed it, but the most efficient way is to be taken in the morning, with 20 – 30 minutes before breakfast, kept sublingual until its complete dissolution. Adults: 1 – 2 g per day. Up to 5 g per day. For best results, RJ should be taken for 30 – 90 days, followed by 10 – 30 days break. Yet, depending on the disease, the dose changes. A 2015 study – The Effects of royal jelly supplementation on regulatory T cells in children with lupus had good results by giving the children 2 g of freshly prepared RJ daily, for 12 weeks. But they don’t say the age of the children. Or, some other study says that to fight a flue, one should take 2 to 4 g per day for 7 days. Adults: 1-2 tablespoons per day. As for precautions, in the beginning of the treatment a slight diarrhea can appear, which will pass quickly, without any special treatment. People who have allergic predisposition will take very small amounts of this product (0.1 g), for the first three days of treatment, stopping the administration if there are symptoms such as oro-pharyngeal itching, digestive disorders, difficulty in breathing and rash.